Politics; The Voice of Electorate in Nigeria don't count & politicians Hardly pay attention. 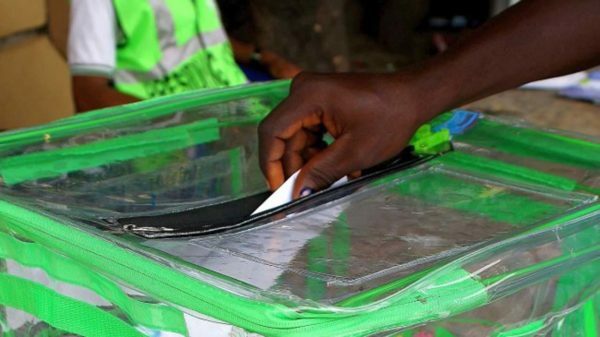 JUST the morning after the governorship and state assembly elections, it had become clear that Nigerian voters might have found their voice and are beginning to talk. All too often Nigerians are urged to vote as their vote is supposed to be the means through which they demonstrate their power of choice. struggled to hold back the challenge of the Peoples Democratic Party candidate, Demola Adeleke. Only months before that elections, Adeleke, a senator of the Nigerian state and uncle of the pop star, Davido, famous for his dancing rather than his political skills, had shamed the APC when his wish to replace as senatorial candidate his brother, Isiaka Adeleke, who suddenly died in the build up to the 2019 elections, was rebuffed. The younger Adeleke’s late entry into the race did not stop him from winning to the surprise of the APC leadership in the state. As if that was not enough, Demola Adeleke went on to challenge the APC candidate and now incumbent governor, Isiaka Adegboyega, and all but won the election that would later be declared ‘inconclusive’ by the Independent National Electoral Commission. But for this electoral legerdemain, a trick that allowed the APC to engage in both appropriate and inappropriate rejig of its strategy in the brief interval before the conclusion of the electoral exercise, many Nigerians firmly believed and still believe that the PDP candidate would have won and probably did win that election. The APC under Rauf Aregbesola had frittered away the good will it enjoyed in the wake of its emergence in the state by its non-payment of workers’ salaries for many months. Rather than being repentant, the government carried on as if it was best placed to know what was in the best interest of the people, often deciding to pursue causes the people did not buy into or were convinced of. The party that appeared beholden to leaders outside the state, especially the APC leader, Bola Tinubu, continued to harp on its supposed adherence to the welfarist principles of Obafemi Awolowo. Indeed the name of Awolowo was the magic mantra with which the APC held the people of the South-West for very long. It is the same name that the so-called progressives continue to mouth to win the support of voters in the South-West even when their political practices are at variance with the core principles of the Awolowo political school. Every two-penny politician in the South-West only needed to mouth their respect for Awolowo style of politics and the door is open for them to enter the ‘joy of their master’. Thus, the likes of Abiola Ajimobi, who was always at loggerheads with the people of Oyo State, was able to thump his nose at the people apparently because he had the support of Bola Tinubu and he was a member of the APC that claims to be committed to Awolowo’s welfarist policies. Otherwise, nothing ought to have recommended Ajimobi for a second term given his propensity for needless controversies. He owed workers many months’ salaries, called the bluff of students and lecturers in their demand for his intervention in the financial crisis that hit Ladoke Akintola University, LAUTECH. Rather than show interest in the plight of LAUTECH that was partly owned by Oyo State, he chose to establish a so-called technical university that would serve only to massage his ego. And perhaps as a demonstration of hisdesire to have his way at the expense of the people, Ajimobi spat in the face of the Olubadan by his appointment of his traditional rulers to challenge the superiority of the paramount ruler of Ibadan. He did go after Fresh FM, a radio station owned by Yinka Ayefele, the popular juju musician where he demolished their office. In spite of all this and without any sign of remorse, Ajimobi bulldozed his way into the senatorial race in Oyo State, hoping to retire to the National Assembly after two terms as governor in the manner of many other former state governors. But the people of Oyo waited for him and spoke in one clear voice that put an end to his ambition among three other APC aspirants. This, notwithstanding, the last minute agreement his principals in the APC reached with opposition elements, including a former governor, Alao Akala, the people of Oyo State still punished the APC by voting for Seyi Makinde, the PDP candidate. Akala was taught the lesson of his life by the people of Ogbomoso. In Ondo where Rotimi Akeredolu is transforming into another Ajimobi, having forgotten how he emerged governor, the people spoke loudly. It was complete annihilation for the Saraki dynasty in Kwara. Everywhere in Yorubaland, the people may be regaining their voice. But are the politicians listening? Are they learning?